Pch Win A Lincoln MKZ Prize No-6085 Plus, Win $5,000.00 A Week “Forever”-4900 Plus, A $50.00 Target Gift Card Activate ! Dear friends: you have a best engine , I need to use that engine for to ask whit to exciting and activate the sequence in my superprize claim PCHGWY No. 4900 . Regarding the prize patrol elite and all bran to that PCH. Thanks for your help. ME. What a BLESSING ,,!!! !,,,A dream come true ,??! Yes Mr: Collin I am searching to winning a brand New Lincoln MKZ prize from PCH Giveaway No. 6O85.Thanks for this opportunity and I do like to win this car. I would like to register my new MKX in the color silver matalic, with medium gray interior, heated seats and steering is a must. Great speaker surround sound, navigation and all the other great features. Also want to claim my $10,000,000 and my $5,000 a week for life. 4900. I would also like to claim the $500,000 dream home with a huge garage so I can park my new SUV and my toys. I would also like to claim the extra $2,000,000 and my $500,000 dream vacation. I’m sure I’m missing something so I’ll be back to add more. Thank you so very much!!! I claim my win from my Bulletin for today only # 6085 for the Lincoln MKZ with Registry Decal on 1/16/2016 plus the Forever gwy #4900 for $5,000.00 a week for life, and to leave to family or love one.Thanks Dorothy Martinez this day. I was playing games and won #4950 the Money Booth for $ 550,000.00, and the Official Certificate for #1,000,000.00 Green Entry Thank you PCH for allowing us to be able to win money for our desires to help our selves and our charities. God Bless. Yes,yes.i would love to win. Pch Frontpage Win $5,000.00 A Week “Forever” Prize No-4900 Plus, Win $100.00 For My Set Of Initials Pm On February 26th Activate ! Win $1 Million Plus Up to $50000.00 Bonus Cash from Giveaway Nos. 4950 and 6902! Win $1 Million SuperPrize Plus, Up to $50,000.00 Bonus Cash from Giveaway Nos. 4950 and 6902! Win $1,000,000.00 SuperPrize from 4950 plus $30,000.00 Bonus Cash from Giveaway No. 6902! Win our $1 Million SuperPrize(Giveaway No. 4950) and an up to $50,000.00 bonus(Giveaway No. 6902)! I am here today to activate my winning number for all the give away’s. The lifetime prize, the super prize, the dream home and any others I might of missed. Please allow an old woman this one wish. For this I am thankful. I am in it to win it so lets get winning !!!!! Win $100,000.00 for Home Improvements cash prize from No. 6085! Win a $100,000.00 prize(Giveaway No. 6085)! Thanks! PCH Team, I have received Ten Entries to win an Amazing VIP Exclusive Reward of $10,000.00, PCH Giveaway No. 7233. I would love to win this prize to help pay off some of my debts to give me a head start to win the $5,000.00 A Week “Forever” Prize, February 26th, PCH Gwy No. 4900, the Gift that keeps on giving from the heart to the Winner for their life, and then to their beneficiary named for their life. What an exquisite legacy making gift and prize this would be to win. God please help me to win this if it is meant to be and this prize will help me through my life and with my family, Church, and the poor. PCH a “WIN” would be greatly appreciated. It would be wonderful to win both both the 10.000.00 for life and the ford fusion. I’m on a fixed income it would be a blessing to leave something to my children and grandchildren having an income of 733.00 a month for doesn’t go very far. Buy I do manage to make it work. Thank You….! I submitting Entry for $10,000.00 Gvwy. No. 7025 cash prize. Win $1 Million Plus Up to $50,000.00 Bonus Cash from Giveaway Nos. 4950 and 6902! Win $1 Million SuperPrize Plus, Up to $50,000.00 Bonus Cash from Giveaway Nos. 4950 and 6902! Win $1,000,000.00 SuperPrize from Giveaway No. 4950, Plus, $40,000.00 Bonus Cash from Giveaway No. 6902! Win our $1 Million SuperPrize(Giveaway No. 4950) and an up to $50,000.00 bonus(Giveaway No. 6902)! Win $100,000.00 for Home Improvements cash prize from Giveaway No. 6085! Win a $100,000.00 prize(Giveaway No. 6085)! Thanks! WHAT EVER YOU DO, MYSELF AND MY FAMILY WILL BE GRATEFUL. Win $1 Million Plus Up to $50,000.00 Bonus Cash from Giveaway No. Giveaway Nos. 4950 and 6902! Win $1 Million SuperPrize Plus, Up to $50,000.00 Bonus Cash from Giveaway Nos. 4950 and 6902! Win $1,000,000.00 SuperPrize(Giveaway No. 4950)plus, $30,000.00 Bonus Cash(Giveaway No. 6902)! Win our $1 Million SuperPrize(Giveaway No. 4950) and an up to $50,000.00 bonus(Giveaway No. 6902)! Win $100,000.00 for Home Improvements cash prize from Giveaway No. 6085! Win a $100,000.00 prize(Giveaway No. 6085)! Yes, this is what I am yearning for – the Pch Superprize for $1,000,000.00. How this prize would be overwhelming. This is a good thing. the Winner Selection list and win GWy. Number 4900. GOD’s plan as long as I have life. Thank you. I hereby, claim Activation Sequence Initiated Alert to issued and confirmed verification, examination of my 10x entries to be selected the Winner of the February 26th, PCH Prize Event; Winning $5,000.00 A Week “Forever”, new home, SuperPrize” as I was selected a “SuperSearcher” chance of $1,000,000.00 along with “Cash Bonus”, if I am selected the WINNER of the February 26th PCH Prize Event. The exciting moment in my life will be the Blessings of God delivered to me by the PCH Prize Patrol Elites sharing in my joy of my blessings answered. I will continue to pray for the PCH Prize Patrol Elites travels in delivering Blessings of God and returning home safe. 5,000 dollars for life wins is great. Want to do is Win? Win $1,000.00 cash from the Grand Junction-montrose TV area as part of Giveaway No. 5035! Win Up To $100,000.00 Prize(Giveaway No. 6085)! Win a $100,000.00 Prize from Publishers Clearing House Giveaway No. 6085! Win a $5,000.00 A-Forever” Prize(Giveaway No. 4900)! Win an up to $100,000.00 cash prize(Giveaway No. 6085)by Big Bucks Burst and submitting the sweepstakes entry form. YES PCH 1830, 02340406467, 03062, YES PCH FRONT PAGE TOKENS EXCHANGES BONUS ENTRY 150,000 X ENTRIES GWY 7268, I WANT TO CLAIM TO WIN PCH MILLIONIERS MAKING OPPORTUNITY DREAM PRIZE, VOUCHER I’D 485762, $1,000.00,INITIALS SET,AWARD PRIZE, YES PCH SEARCH AND WIN THE BEST SEARCH ENGINE TO WIN $ 1,000.00 INSTANT, I JOSEPH NSOAH WANT TO WIN, ACTIVATE AND CONFIRM TODAY TO WIN MY VOUCHER I’D 485762, AT THE EARLY SPECIAL SELECTION EVENT, THANKS FOR YOUR HELP. Win a VIP Exclusive $10,000.00 Cash Prize from PCH Giveaway No. 7233! Thanks! Win a VIP Exclusive $10,000.00 Cash Prize from PCH Giveaway No. 7233! i want to win $1,000.00! I truly want to win $1,000.00 local TV Area prize at this moment! Thank You. YES I WANT TO WIN $1,000.00 CASH PRIZE PCH GWY#5035! & YES I WANT TO WIN $5,000.00 A WEEK FOREVER ON FEBRUARY 26th!..THANK YOU MY PCH ,YES,YES I WANT TO WIN..
PCH I would like to claim 2xEntries for $10,000.00 cash #5035 Prize!! Win $1 Million Plus Up to $50,000.00 Bonus Cash from Giveaway Nos. 4950 and 6902! Win $1 Million SuperPrize Plus, Up to $50,000.00 Bonus Cash from Giveaway Nos. 4950 and 4902! Win our $1 Million SuperPrize(Giveaway No. 4950) and an up to $50,000.00 bonus(Giveaway No. 6902)! Please enter me in the Double Entries to win a VIP Exclusive $1O,OOO.OO Cash Prize from PCH Giveaway No. 7233! Yes I Jaime Carabajal claim option b for a Chance To win $10,000.000.00 Cash $4,000.000.00 yes Pch Thanks. Win $100,000.00 for Home Improvements cash prize from Giveaway No. 6085! Win a $100,000.00 prize(Giveaway No. 6085)! I would keep the cash. Thanks! Win $1 Million Plus Up to $50,000.00 Bonus Cash from Giveaway Nos. 4950 and 6902! Win $1 Million SuperPrize Plus, Up to $50,000.00 Bonus Cash from Giveaway Nos. 4950 and 4902! Win our $1 Million SuperPrize(Giveaway No. 4950) and an up to $50,000.00 bonus(Giveaway No. 6902)! Thanks! I am really really ready to win $1,000.00! Local TV Area Prize. And Change my life forever. I truly want to believe miracle to happen. At this time i must think everything hopeful. I am really really ready to win $1,000.00! Local TV Area Prize! yes I want to win $5,000.00 a week “forever”on february 26th!.. I would love to be the next big winner. Thanks Publishers Clearing House. Yes pch I would love to be on TV. And prove to everybody who says you are fake that I know prove them wrong so thank you for letting me play for free. I have been trying to win for years and I always get very close. I’M HOPING MY NUMBERS COME OUT, I WOULDN’T MINE ANEW CAR,A HOUSE OR SOME MONEY. ANYTHING WOULD HELP. Win a $10,000.00 Cash Prize from PCH Giveaway No. 4650! Win a $10,000.00 cash prize from Publishers Clearing House Giveaway No. 4650! Thanks again for my ten extra entries to win $10,000.00 Cash Prize from PCH Giveaway No. 4650! Finally! Win a $10,000.00 Cash Prize from PCH Giveaway No. 4650! Win a $10,000.00 cash prize from Publishers Clearing House Giveaway No. 4650! Thanks again for my 10 extra entries to win $10,000.00 Cash Prize from PCH Giveaway No. 4650! Win a $10,000.00 Cash Prize from PCH Giveaway No. 4650! Win a $10,000.00 cash prize from Publishers Clearing House Giveaway No. 4650! Thank you very much for my ten extra entries to win a $10,000.00 Cash Prize from PCH Giveaway No.4650! 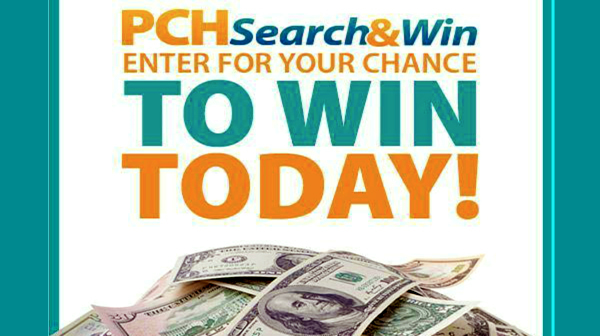 Win a $10,000.00 Cash Prize from PCH Giveaway No. 4650! Win a $10,000.00 cash prize from Publishers Clearing House Giveaway No. 4650! Thank you very much for my 10 extra entries to win a $10,000.00 Cash Prize from PCH Giveaway No. 4650! MY TEN Entries to win a $1O,OOO.OO Cash Prize from PCH Gwy. No. 465O! Win a $10,000.00 Cash Prize from PCH Giveaway No. 4650! Win a $10,000.00 cash prize from Publishers Clearing House Giveaway No. 4650! Thanks so much for my ten extra entries to win a $10,000.00 Cash Prize from PCH Giveaway No. 4650! Please enter me in the super sweepstakes. I want t pool win. I would like to win a few of the unclaimed prizes! Plus I could very easy use the $3,000.000.00 for a Dream Home Thank You!! I want to win the brand new ford fusion.#4960 And 5,000.00 for live #4900. activity me for 3,ooo.0000o fo my dream home. God bless you all. Pch A Big – Big Thanks to You if i have a chance to win . i’m Seaching 10,000 For LIFE Giveaway # 6900. I keep Trying and trying to follow your instructions Because i’m very interested to win Whatever amount. Thank YOU. Dear PCH TEAM, I would love to win the life-changing $5,000.00 A Week For Life Super Prize, PCH Gwy 6900, and also the Brand New Ford Fusion, PCHFrontpage Gwy No. 4650, for $38,730.00. This would fulfill my dream of my lifetime and would resolve all my problems no matter what they are and may be and would give me a very happy heart and would help to extend my life to stop all the stress and worry everyday. I hope and pray I win these two prizes and God is with me. Thank you God and PCH Team for giving me this opportunity to win. 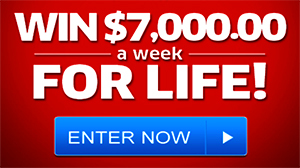 Win $5,000.00 A Week For Life(Giveaway No. 6900), Plus, win $100,000.00 prize from Giveaway No. 4650! Win our $$5,000.00 A-Week “Forever”(Giveaway No. 4900), our $1,000,000.00 SuperPrize(Giveaway No. 4950), our $1,000,000.00 SuperPrize(Giveaway No. 6900) and a $100,000.00 cash prize(Giveaway No. 4650)! Win a Publishers Clearing House $5,000.00 A-Week-“Forever” Prize (Giveaway No. 4900) and a $1,000,000.00 SuperPrize(Giveaway No. 4950)! Win the Initials, LA $100.00 Cash as a part of PCH Giveaway No. 3818, Plus, win $3,000,00000 for a Dream Home SuperPrize from PCH Giveaway No. 6900! Win a Publishers Clearing House $3 Million SuperPrize(Giveaway No. 6900), a $1,000,000.00 SuperPrize(Giveaway No. 4950) and a $100.00 Prize from our Initials Contest(Giveaway No. 3818)! Finally! Thanks A Million! a win could be a life saver for me. YES PCH 1830, 02340406467, 03062, YES DEAR,PCH, PRIZE PATROL ELITE, KINDLY ACTIVATE TO WIN MY AMAZING PRIZE ON LINE EXCLUSIVE $10,000.00 CASH PRIZE FROM GWY NO 5328, YES PCH I AM HERE TO CLAIM MY 10,X ENTRIES TO WIN THE AMAZING PRIZE, ACTIVATE AND MAKE ME THE NEXT PUBLISHERS CLEARING HOUSE P.C.H.COM MILLIONIER MAKING OPPORTUNITY WINNER AT THE EARLY SPECIAL SELECTION LOOK EVENT ON 31ST AUGUST 2015, AND THE PRIZE PATROL TO HAND DELIVER TO ME PERSONALLY WITH BALLOONS AND CHAMPAIGN AND ROSES AT MY LOCAL TV.AREA FRONT DOOR, THANKS FOR YOUR HELP. Win the Initials, LA $100.00 Cash as a part of PCH Giveaway No. 3818! Win a Publishers Clearing House $3 Million SuperPrize(Giveaway No. 6900), a $1,000,000.00 SuperPrize(Giveaway No. 4950) and a $100.00 Prize from our Initials Contest(Giveaway No. 3818)! Interesting! Many Thanks! I am sorry for being late thought I did last night when I went in the sale items came up so I missed but I am looking to see you all DEC 30th with a 10,000.00 check that I could really use Thanks !!! I STILL WANT TO WIN THE $10,000.00 a week for life, Gwy 4900 on Dec. 30th. It doesn’t matter how many times I’ve said it I want my response posted!! 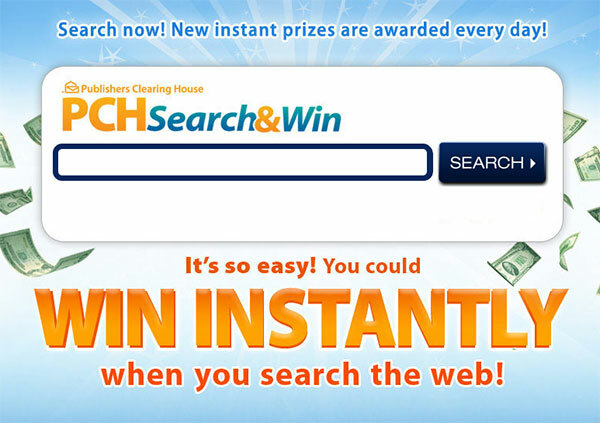 PCHSearch&Win, CONFIRMED, THIS IS THE DAY, I search to win an Entry and Activate Gwy. No. 4900 for $10,000.00 A week For Life. Gwy.No.4650 For $70,000.00 Thank You. PCH TEAM, I would like to claim the Double Entry for Pch Gwy No. 4650 for $80,000.00 today, December 15, 2015. This would definitely change my life and give me the financial help that I need to continue on with my life since I live alone with no one to help me and I need a new car and a new home. God Be With Me and if it is meant to be I win let it be. I will be praying. Thank you PCH TEAM and God for giving me this opportunity. Accept the $25,000.00 Cash Prize Gwy. 4749. Accepted. seems like alot of people have my number? PC288. PCH Please could I win $100.00 with my lucky initials JA!